Nov 09, 2015 in "Jedi Training - Trials of the Temple"
The new Jedi Training Academy called Jedi Training: Trials of the Temple will open in early December 2015 according to Disney. With an all new set being built on the existing Jedi Training Academy stage near to Star Tours, the new show will be set in a secret site of an ancient Jedi temple. Along with Darth Vader, younglings will also face the new villain from the Star Wars Rebels TV show - Seventh Sister. 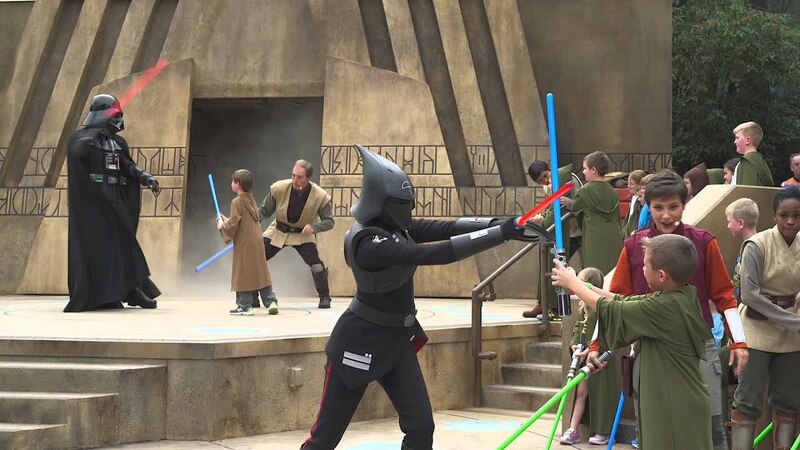 The original Jedi Training Academy closed on October 4 2015 to make way for the new experience.